I will be giving away 2 Networking Plus?Passes?for Affiliate Summit East 2012. 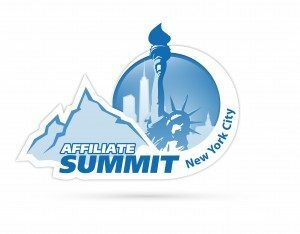 Affiliate Summit East 2012 is taking place August 12-14, 2012 at the Hilton New York. Winner will be picked on?07/14/2012 12:01am EST?randomly via?entry's?submitted by the Rafflecopter giveaway app. Best of luck to everyone! Admission to Meet Market, Exhibit Hall, Keynotes, Sunday educational sessions,?access to all recorded session videos; PowerPoint presentations; and Affiliate Summit Social Network. ?This pass does not include Monday and Tuesday sessions.